Coming out of the tunnel, follow direction Lille and Bruxelles onto the A16 motorway. Or coming out of the port, get onto the dual carriageway and after about 3 miles, turn right onto the A16 motorway, direction Boulogne. Keep right, as within 500 yards you will be getting off as below. 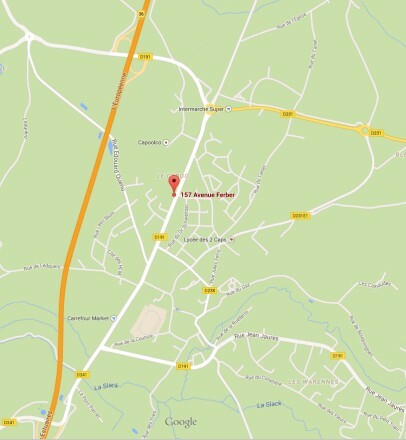 From the A16 motorway, come off at J46 signed D943 to ARDRES and SAINT-OMER, and continue for about 15 minutes. Beware - as you are driving along, do not confuse ARDRES with ANDRES, for which you will pass signposts. Continue straight to ARDRES! 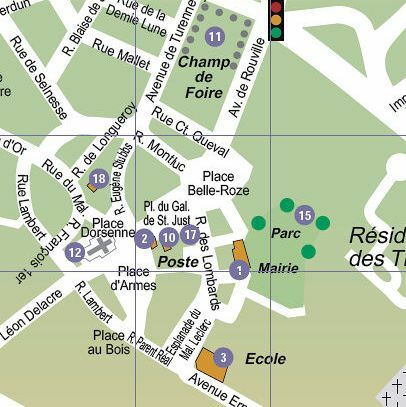 In ARDRES, coming to the traffic lights featured on the map below, continue straight across following CENTRE VILLE and follow the road into the main cobbled square, Place d'Armes: the church is on your right, and the Francois Premier Restaurant is in front of you. * * Rue de l'Arsenal runs on the right of the restaurant, and the shop (numbered 12 on the map) is the first building on the right after the church. 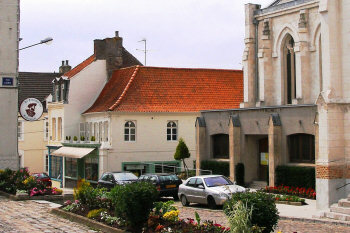 Free parking is either in the main square or between the shop and the church. Or if you are coming from the south or have erroneously found yourself on the A16 bound for Paris! Come off at 1st junction (J2), signed LICQUES, ARDRES and TOURNEHEM. Out of the péage, turn right onto the D217 and then turn left to ARDRES. In ARDRES, coming to traffic lights featured on the map below, turn left and continue straight round into the main cobbled square, Place d'Armes. Pick up the final directions above marked **. 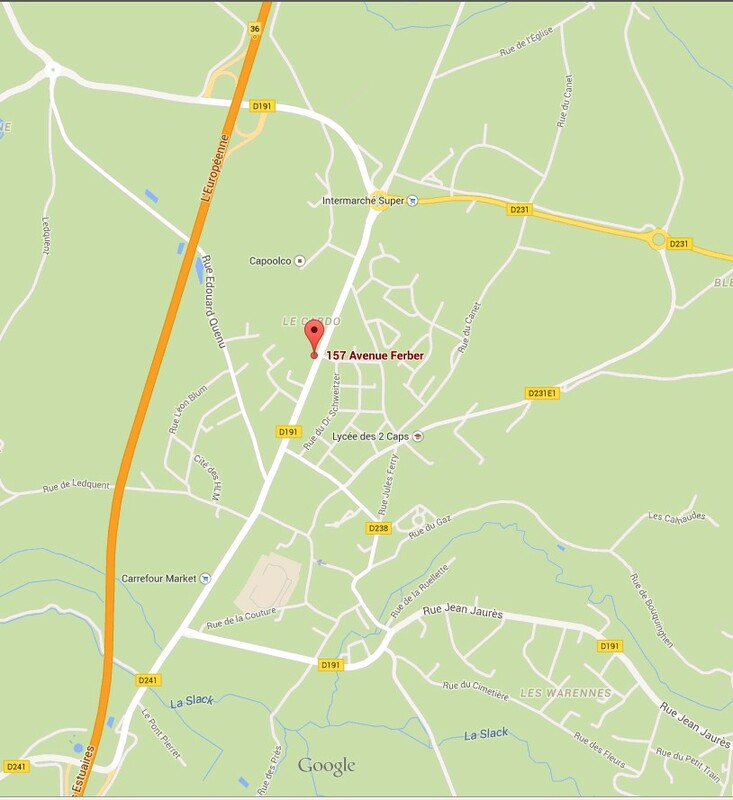 Boursot's Wine Collection Ardres can also be found on Google maps. Take the A16 (free of charge) from the tunnel and port signed Boulogne. Come off at J36 signed Marquise. Follow signs for Marquise and at the first roundabout, take the first exit to Centre Ville. After 300 metres you will see on your right the Gendarmerie, Aldi and Superjet. 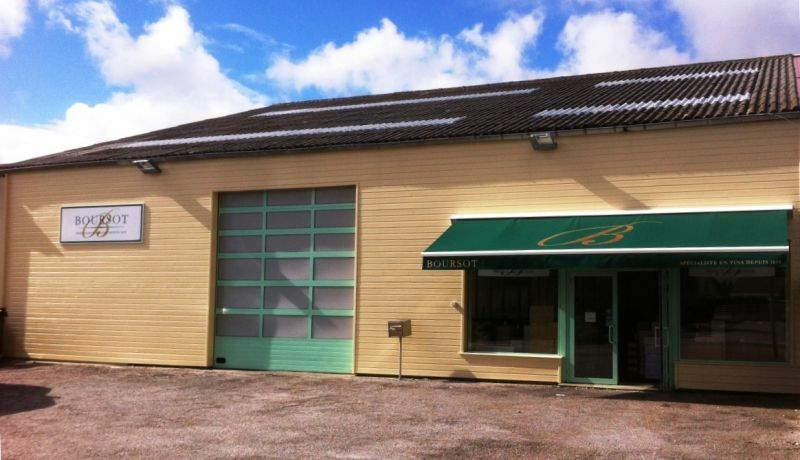 Boursot’s warehouse is the building before the Au Bonheur du Pecheur store which is next to the Superjet car wash.
Take J35 off the A16 signed Marquise. Continue along this straight road passing Carrefour on your left. Continue until you see Superjet car wash on your left. 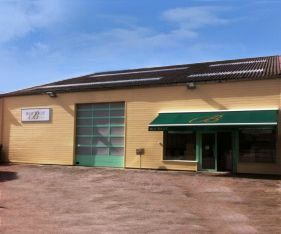 Boursot’s is the third warehouse after this on the left. 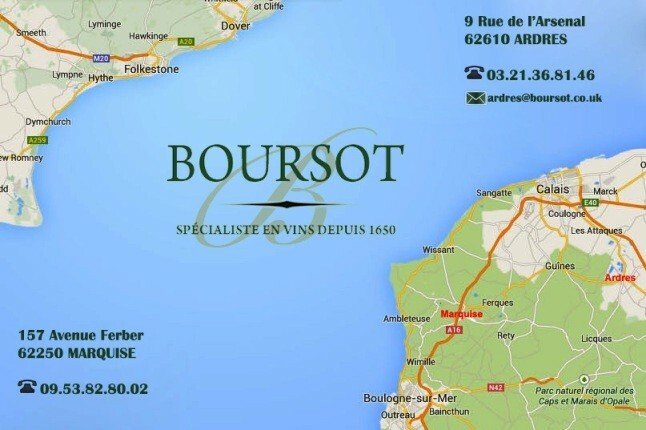 Boursot's Wine Collection Marquise can also be found on Google maps. Spend more than 650€ on Boursot wine and get your day return or overnight fare on Eurotunnel for just £25. Click on logo for more details .